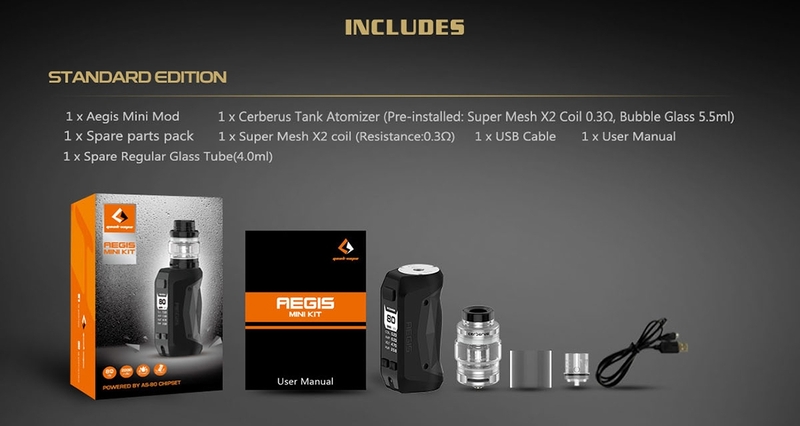 GeekVape Aegis Mini Kit consists of Aegis Mini Mod and Cerberus Tank. Powered by built-in 2200mAh battery and advanced AS chipset, the Aegis Mini Mod supports a maximum output of 80W and temperature control for Stainless Steel, Nickel 200 and Titanium. Constructed by alloy, leather and SLI silicon materials, the Aegis Mini with ergonomic design is comfortable to hold. 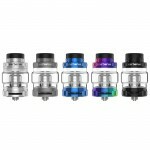 Cerberus Tank has 5.5ml capacity that can prolong the vaping time. The quick access top refill system makes refilling easier. GeekVape Aegis Mini Kit features super mesh x2 coil which provides pure flavor and large vapor and brings you excellent experience. ➤ 1. 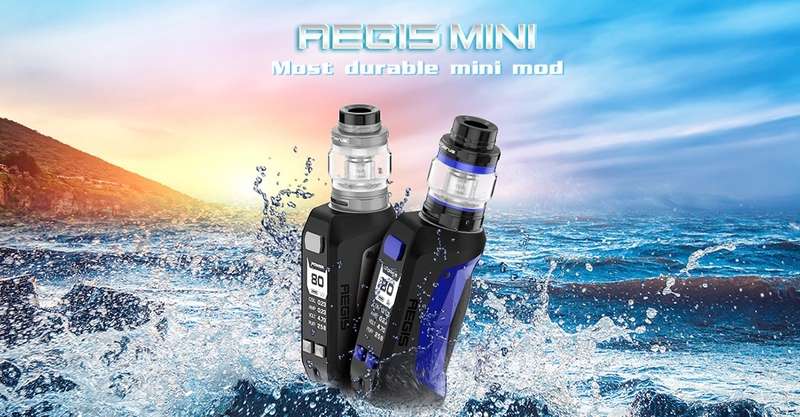 Geekvape Aegis Mini adopts advanced AS chipset which supports 80W max output and temperature control for SS, Ni200 and Ti. ➤ 2. Aegis Mini is waterproof dustproof and shockproof, not afraid of raining or dropping. ➤ 3. Aegis Mini provides first grade safety features to ensure safe vaping. ➤ 4. 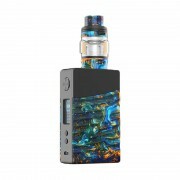 Geekvape Aegis Mini comes with 9ms quick firing speed. ➤ 5. 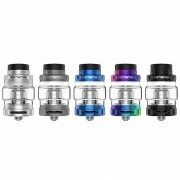 Geekvape Cerberus Tank features 5.5ml glass tank that you can know the e-juice running level obviously. ➤ 6. Geekvape Cerberus utilizes quick access refill system. ➤ 7. 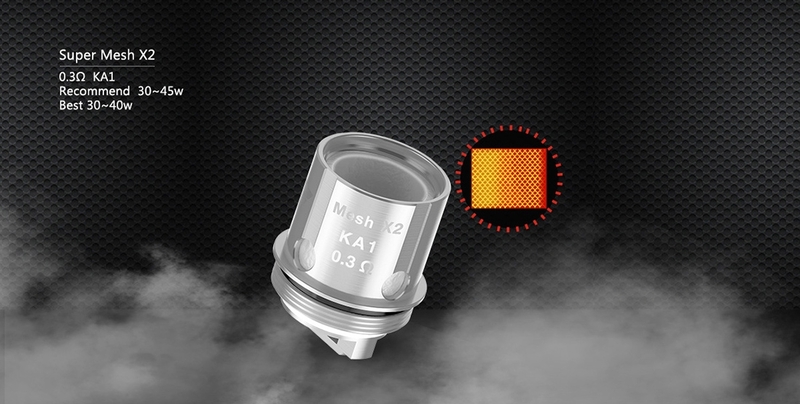 Super Mesh X2 0.3ohm KA1 coils provide intense flavor and large vapor. A. How to charge Geekvape Aegis Mini? Simply charge Aegis Mini Mod by connecting it with a computer, a power bank, a wall adapter or other electronic devices (with a USB port that is capable of providing a charge) via USB cable, also you can purchase an inexpensive USB car adapter, thereby affording you the ability to charge the Aegis Mini Mod in the car. This is particularly useful while you are on long drives and road trips. 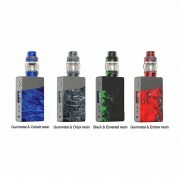 ☞ 6 months warranty period for GeekVape Aegis Mini Kit.